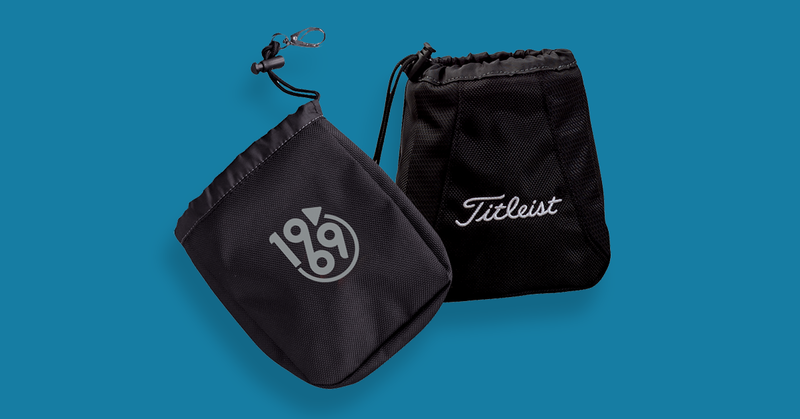 Awesome Promotional Items For Corporate Golf Outings. What makes the best golf gift? Here's 5 fantastic golf products that will boost your brand. Whether you’re taking your best clients out for a few rounds, sponsoring a charity event or just playing with your colleagues, branded promotional golf items are a great way to keep your brand at the front of conversation! Check out our suggestions. Ever suffered the embarrassment of spilling your car keys or a handful of loose change onto the green? You only do it once! Safely storing your valuables before you play can save time and hassle. You and your clients can enjoy the security of everything being in one place and going nowhere. A great little addition to a golf themed gift bag. The Tri-Fold Towel is made from microfiber and features high quality embroidery for your brand message or logo. It’s compact, absorbent and durable. 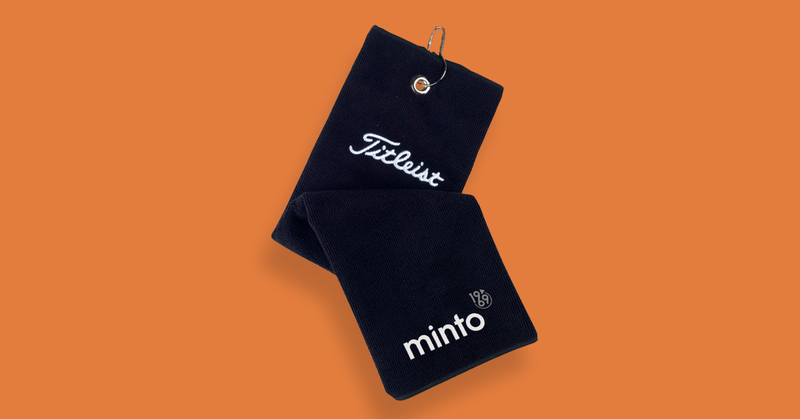 These towels are another excellent way to keep your brand visible whenever your clients return to the tee. Functional and useful, the golf towel can become a part of any customers golfing routine. With a handy clip for attachment, your brand will join your clients on their best rounds for a long time to come. Don’t leave the green in a worse state than you found it. Golf etiquette is hugely important to golfers worldwide. 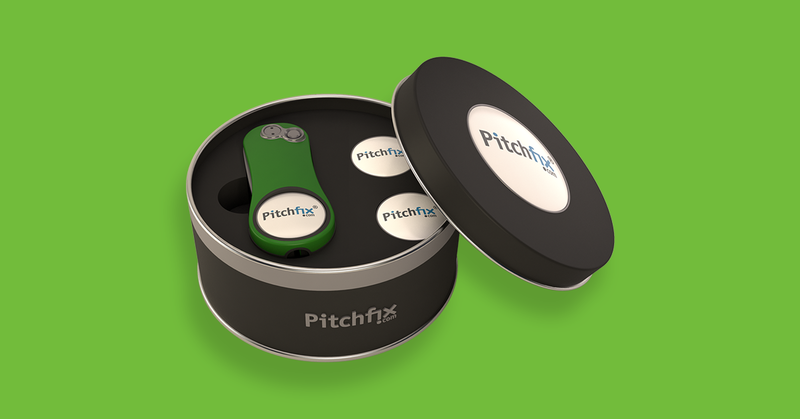 These beautifully finished Pitchfix promotional packs include the perfect folding divot tool as well as three fully brandable magnetic ball markers! What more could you want? Well… we can think of at least two more things. Every golfer needs more golf balls! 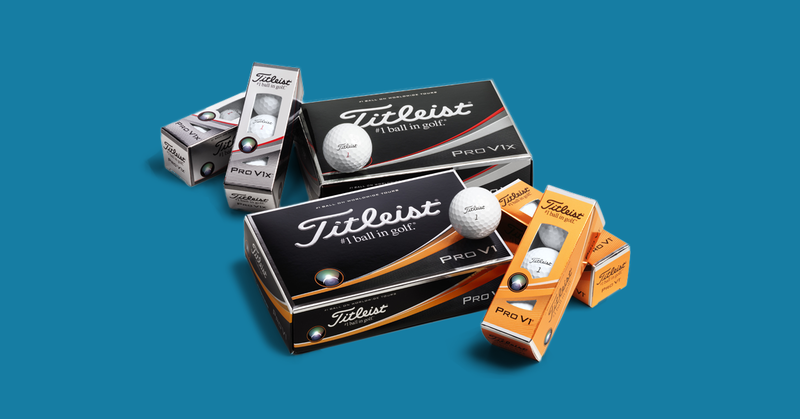 The Titleist ProV1 golf ball is fully brandable with your logo and you can buy them by the dozen! With longer distance and lower long game spin these balls are perfect for the golfer who likes the softer feel. You can use your logo, advertise a product or even have event specific designs. The list is endless but golf balls are definitely a best seller. A little rain never hurt anyone! Any keen golfer won’t let a little weather put them off, so give them a helping hand. With fiberglass ribs and shaft our golf umbrella is lightweight and easily transportable. 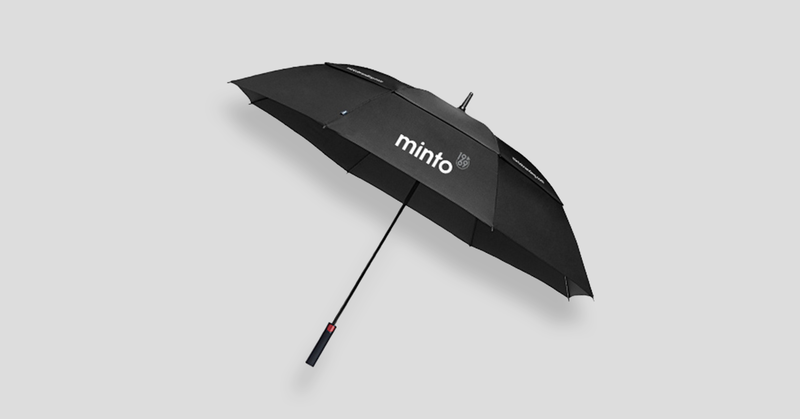 With great logo visibility and high quality print this promotional product will keep you and your clients dry and (hopefully) on par. Ready for tee time? Get in touch.